Library for Children and Youth at the Old Railroad Station. Hours: 10:00 am-7:00 pm every day. 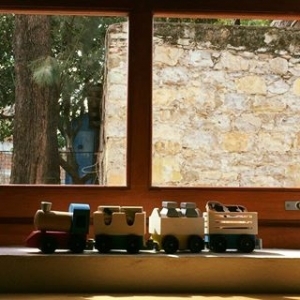 The old railroad station houses both the Young People's Library and the Children's Museum of Oaxaca. Both organizations host many events for children and families. Events are usually free of charge. La antigua estación de ferrocarril alberga tanto la Biblioteca de los Jóvenes como el Museo de los Niños de Oaxaca. Ambas organizaciones organizan muchos eventos para niños y familias. Los eventos son generalmente gratuitos.